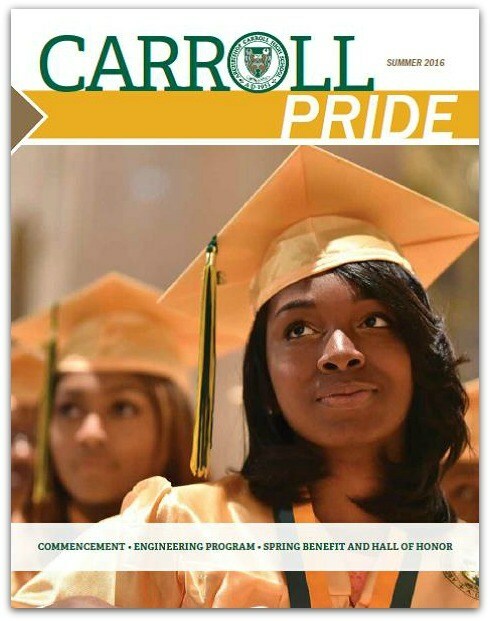 Carroll Pride is published twice a year by the Advancement Office and is mailed free of charge to alumni, parents and friends of Archbishop Carroll High School. For more information or to submit news, call (202)529-0900 ext. 299 or email msavercool@achsdc.org. To view the digital edition of the Carroll Pride, click here.